Here for a department's event or as their invited guest? Ask your host what arrangements they have made for parking. And if you are a department holding an event or expecting guests, contact us (and scroll down for more information). Scroll down for weekend parking options. In addition to metered Visitor lots, departments may puchase Guest parking permits. Guest permits are $4.00 per vehicle per day and may be purchased with a transfer voucher or at the Parking Division Office between 7:30 a.m. and 4:30 p.m. during weekdays. Parking for conferences is normally paid for and made available as part of the registration process. 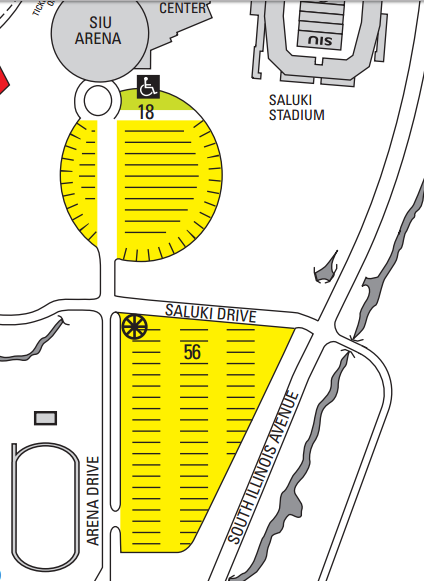 Conference attendees without a permit may park and pay at parking meters or pay lots or may park free of charge without a permit in Lot 56 (south of the arena). The agency sponsoring the conference is responsible for notifying the Parking Division and for distributing the permits. 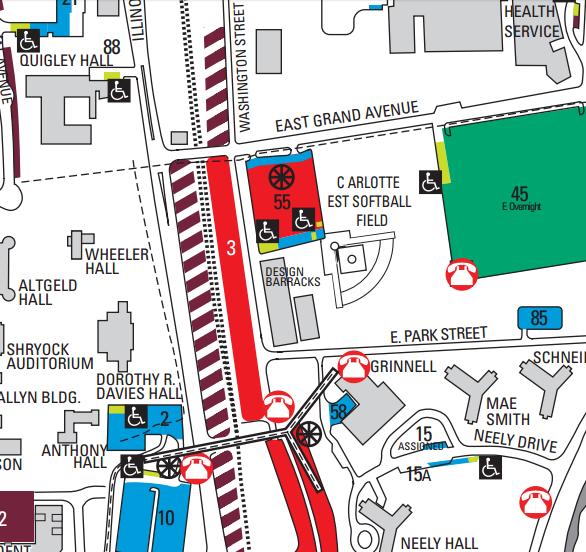 University Departments planning special events should contact the Parking Division for parking arrangements. 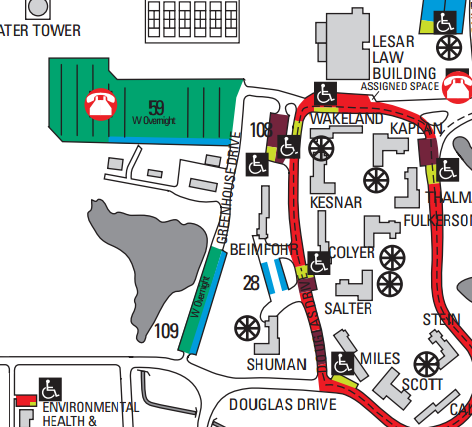 Visitors can park without a pass from 7am - 2am Sat-Sun in any unrestricted campus lots. Visitors may park without a pass from 2am - 7am (overnight) in lots 3, 56, and 59. At other times, you and your guest must present yourselves together at either the Parking Division office during regular business hours Monday through Friday, 7:30 a.m.to 4:30 p.m. or after hours at the SIU Police Department. A Guest Parking Permit will be issued to your guest once you present your SIU ID card and your guest presents a valid driver’s license. Parents or Legal Guardian(s) will receive a free Guest Parking Permit. The Guest Parking Permit will cost $4.00 per day for any guest other than Parents or Legal Guardian(s).